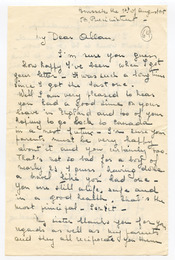 Letter to Allan Raymond from Iris B. 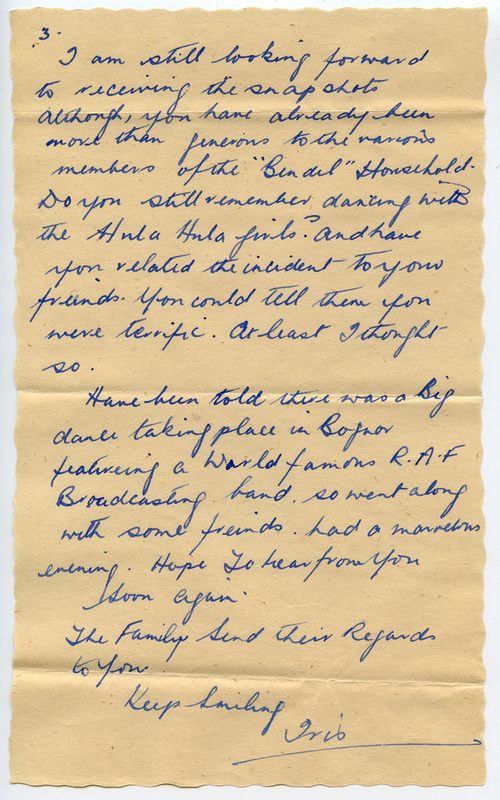 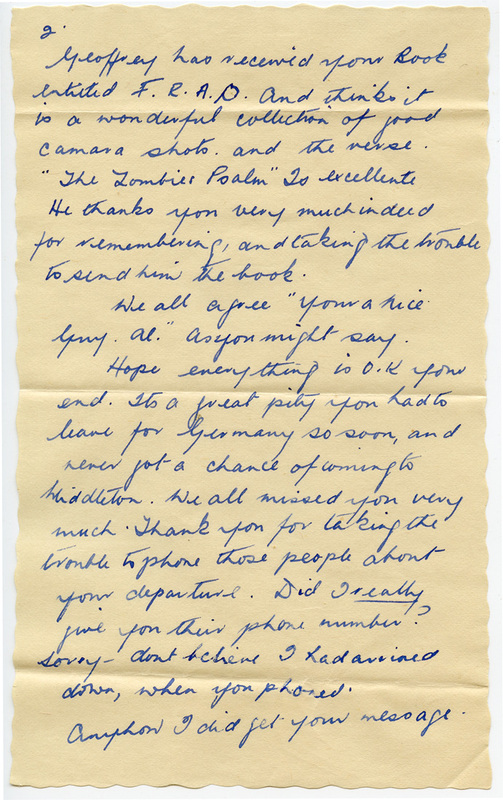 Letter from Norma Bernstein to Allan Raymond, celebrating the end of the war. 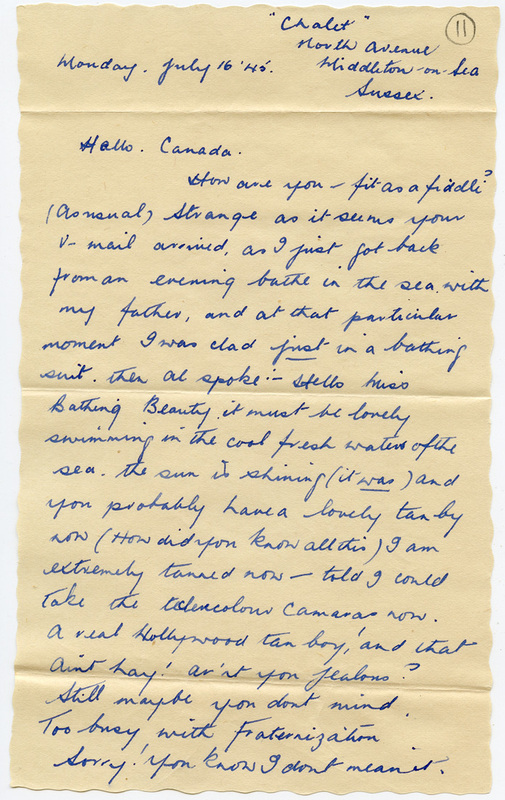 Letter from Norma Bernstein to Allan Raymond. 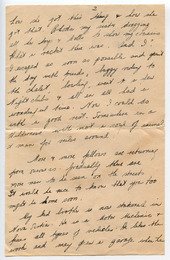 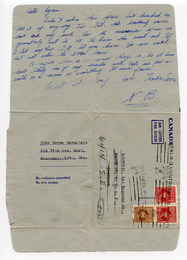 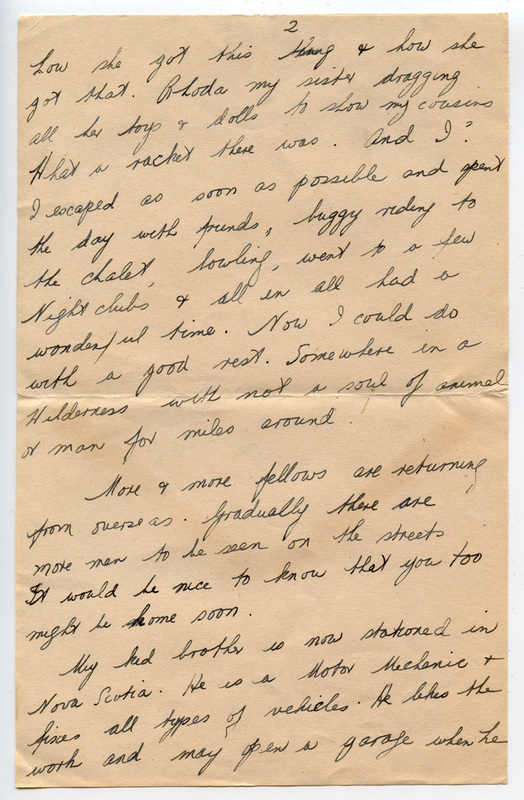 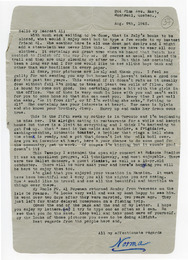 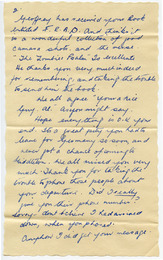 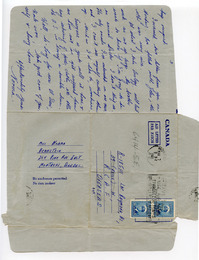 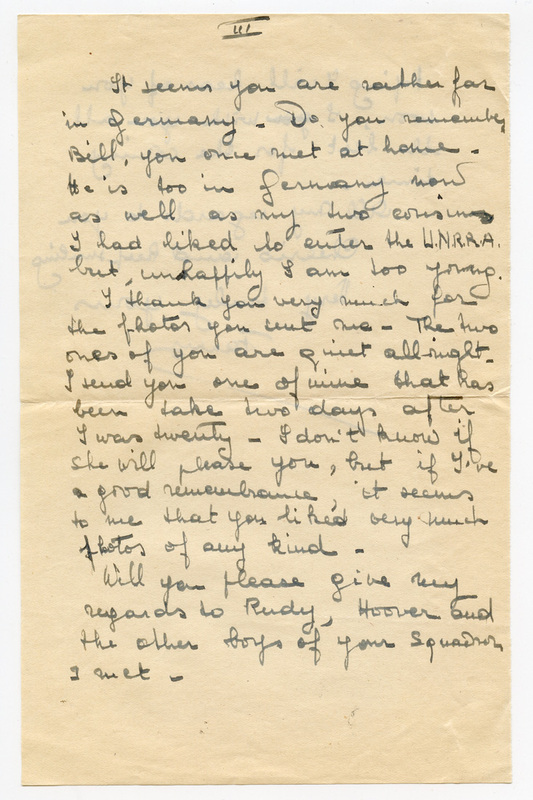 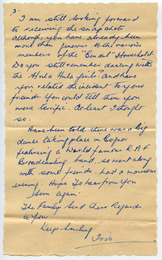 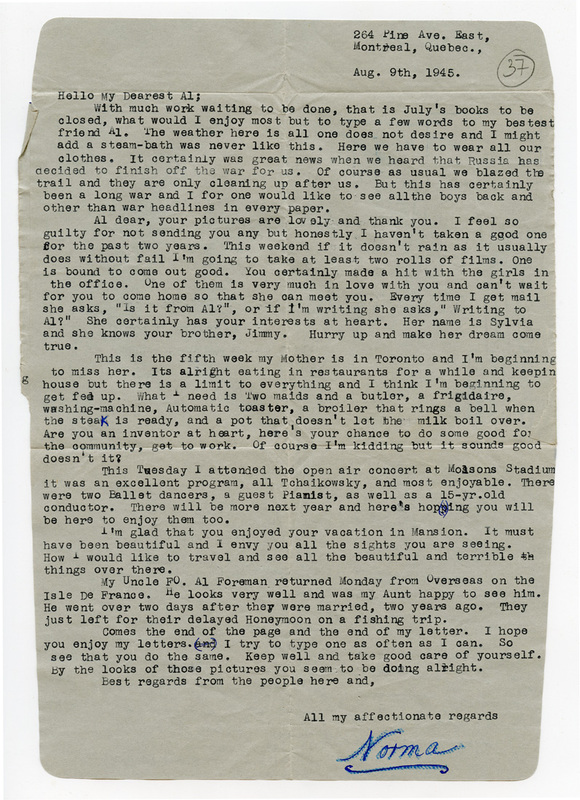 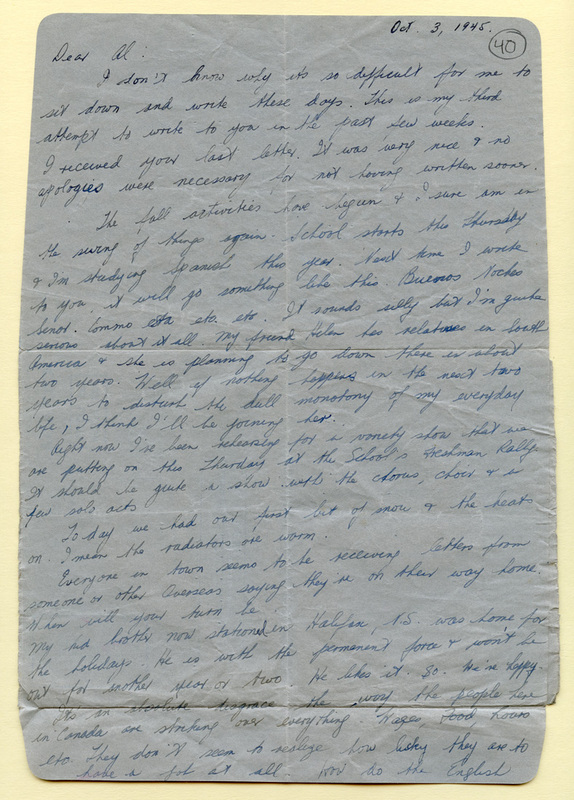 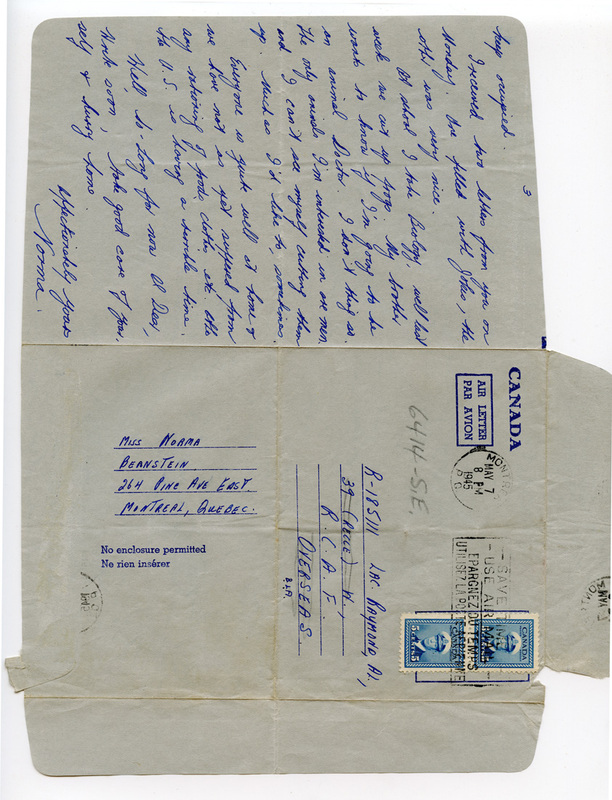 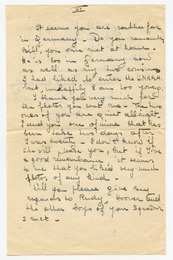 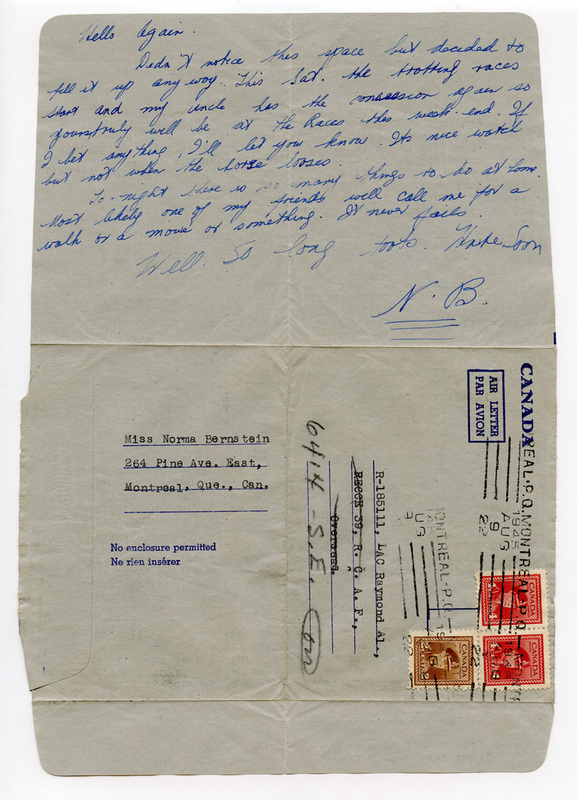 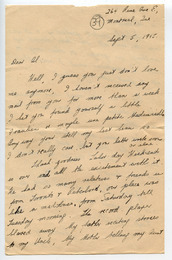 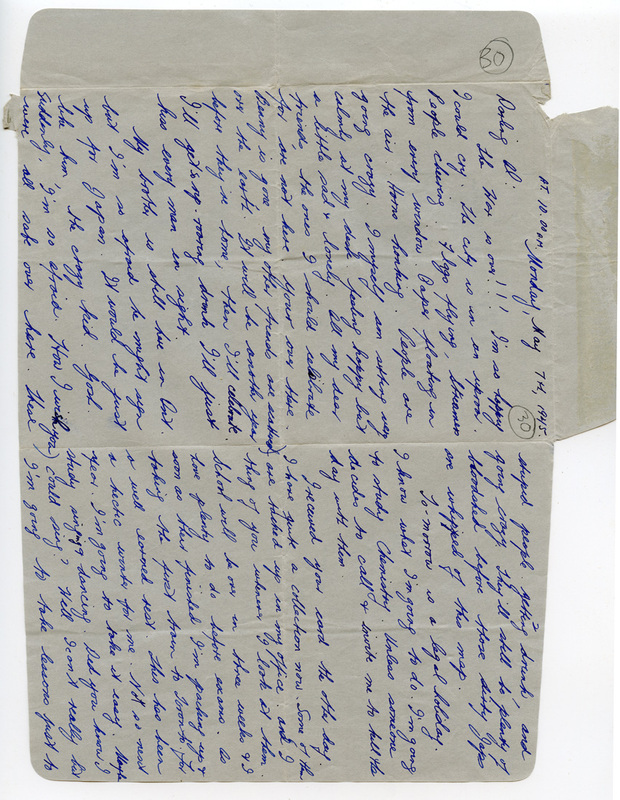 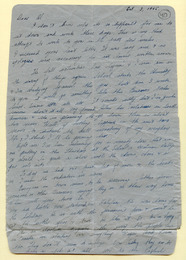 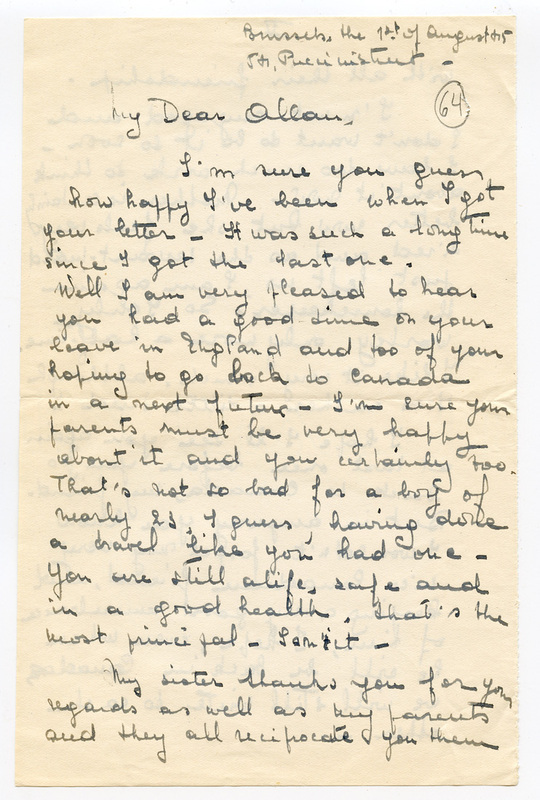 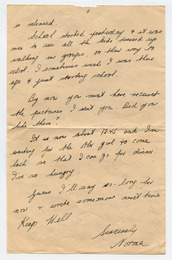 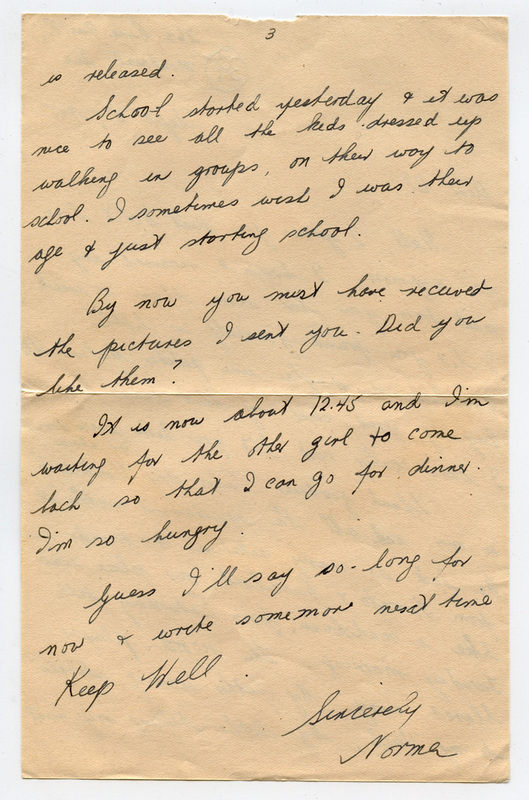 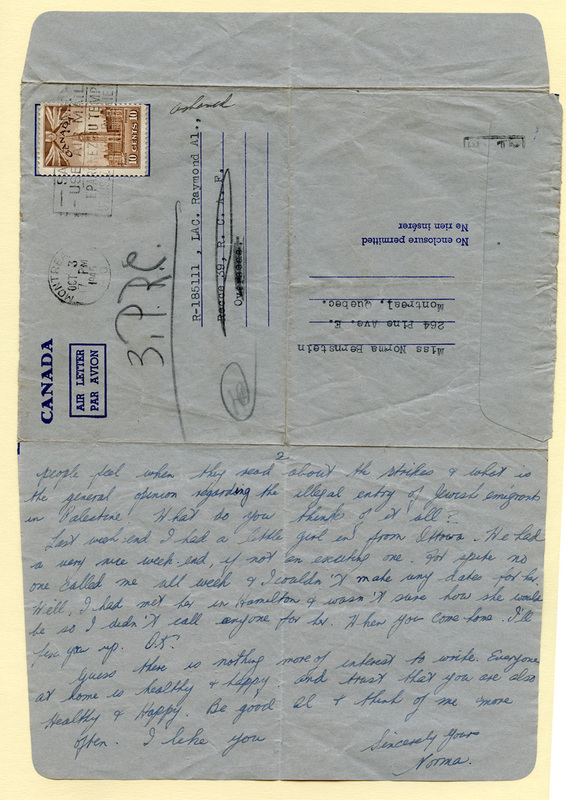 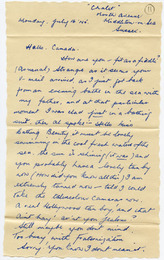 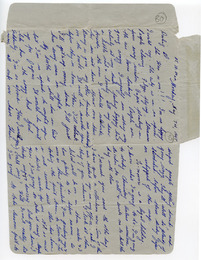 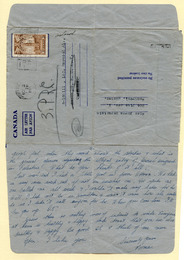 Letter from Norma Bernstein to Allan Raymond, asking when he will return home. 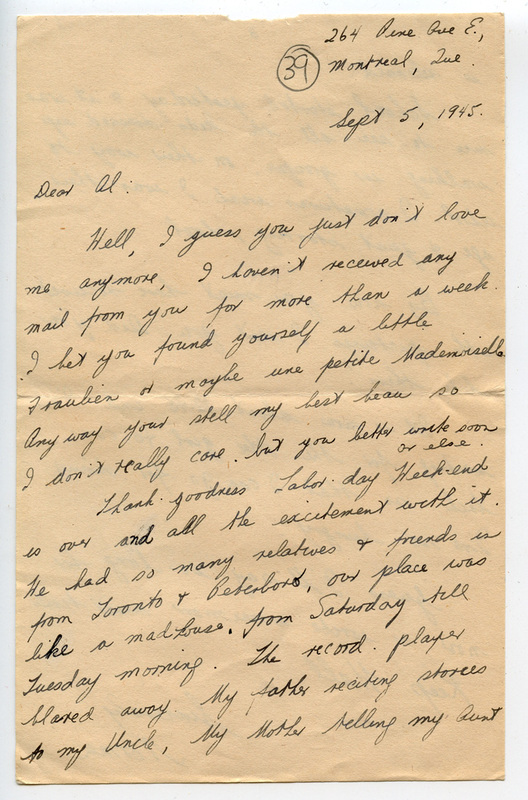 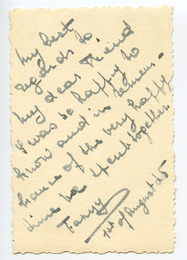 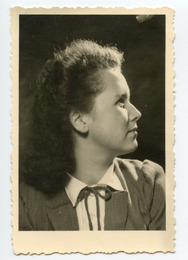 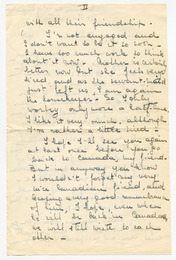 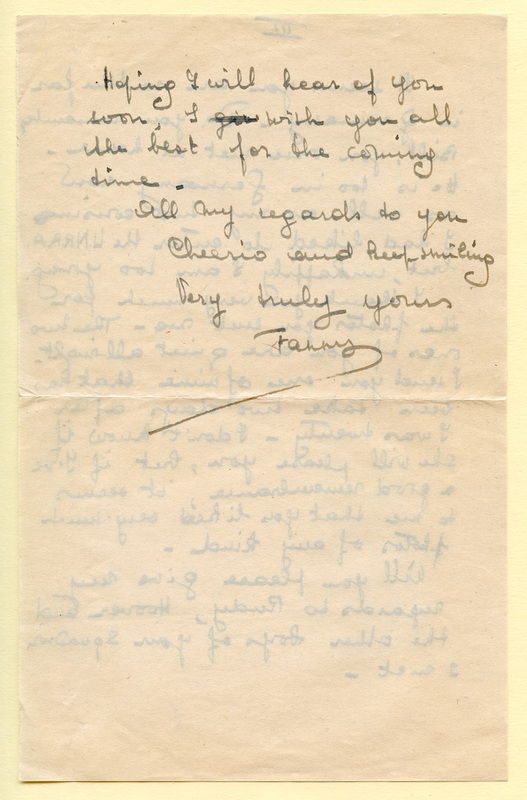 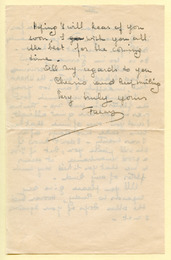 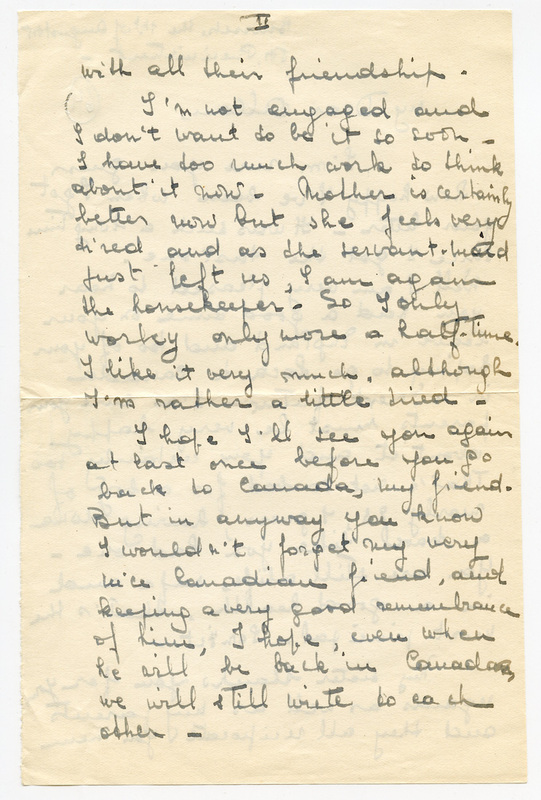 Letter from Fanny Delleque to Allan Raymond. 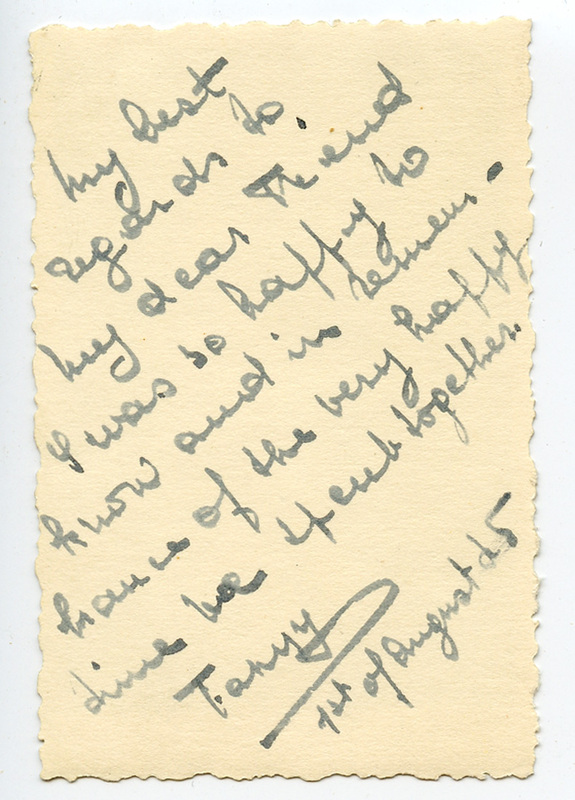 Writing on the back of Fanny's picture.